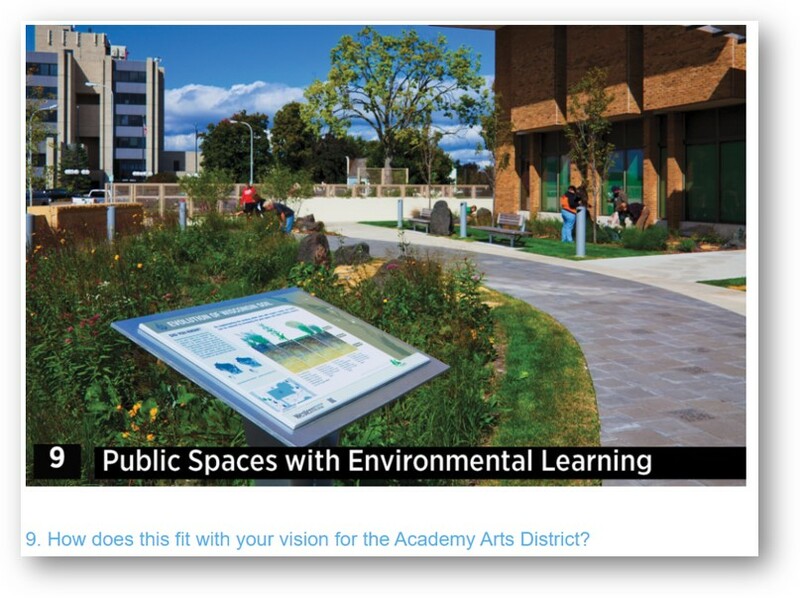 A Visual Listening Survey is available online for you to provide input on things that may or may not fit in the Academy Arts District. Taking the survey is simple and a fun way to see what the possibilities are. Meanwhile, it informs our designers to understand how to tailor a plan for Maize. Please share your opinion and take the visual survey here.